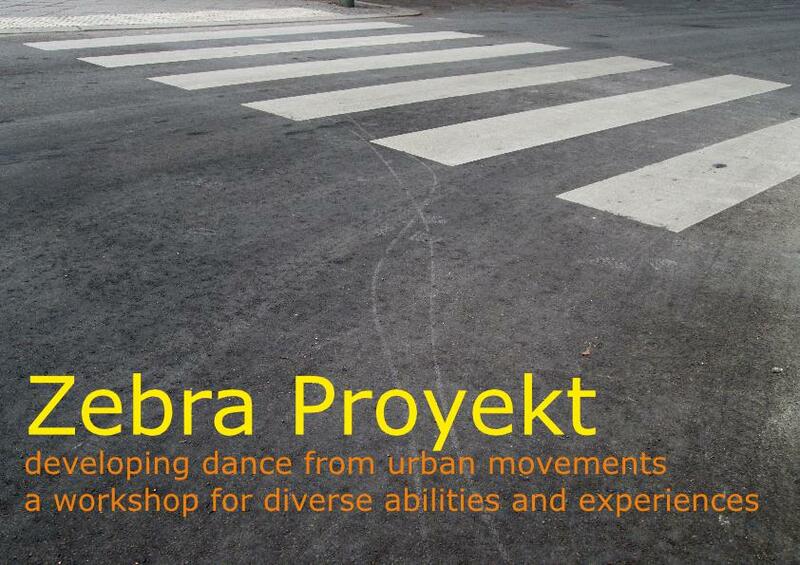 A dance workshop for all those interested in developing their personal vocabulary and composition tools. The work is based on the particular movements and functioning of every body and it is therefore open to persons with a diverse training backgrounds, experiences and physical abilities. We will generate a common vocabulary out of movements found in the city by working with fundamental axes of dance: dynamics, fludity, rhythm, phrase, directions, levels and space. We will work both individually and in groups, developing an expanded awareness between the individual and the ensemble and we will explore the possibilities of acting in unison, as echo, contrast or background. We will finish the workshop with an instant composition in the street. With no intention of perturbing the urban space and without instrumentalising it as a stage, we will improvise to weave ourselves into it. This workshop shares the tools with which I built “Zeitgenössischer Glanz” (Berlin-2016, funded by the district of Pankow-Berlin). Investigating what it is that turns movement into dance, I worked with pedestrian movements which I found in domestic cleaning. The space and the timings of the piece correspond to the itineraries and the states of energy and attention which are traversed while carrying out this everyday task. My hypothesis is that dance is a perception and articulation of movement that makes it legible, transforming it into language. In this moment of my work I’m interested in the emancipation of movement, in allowing this language to speak about itself rather than it representing something else. In this sense, I am inspired by the work of postmodern choreographers working in New York in the 1960s: Simone Forti, Steve Paxton, Trisha Brown and Yvonne Rainer. 1st edition: Málaga, 24-26 March 2017. In collaboration with Colectivo La Tralla, Professional Dance Conservatory, Center for Pedagogic Innovation.